Project xCloud is Microsoft’s new game-streaming service that the company is currently trialing. Microsoft showed off a streamed xCloud game on Xbox Insider. Now the software giant has provided further details for Project xCloud’s control layout at a recent GDC presentation. Mr. Holly, a managing editor at Mobile Nations, leaked photos, and other details, from the GDC’s Project xCloud presentation on his Twitter page. Mr. Apostol, a Microsoft program manager from Team Xbox, hosted that presentation in which he discussed how developers can adapt console games to mobiles with xCloud streaming. 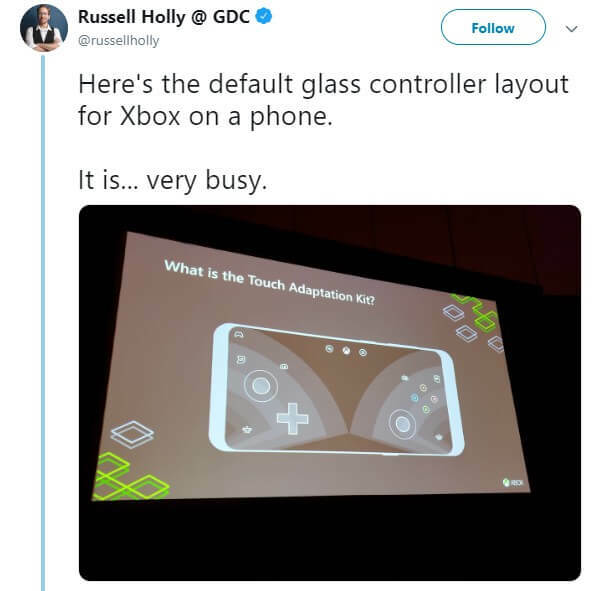 The most interesting snapshot from the presentation on Mr. Holly’s Twitter page is undoubtedly one of a slide that shows the default glass control layout for Project xCloud games on mobiles. The default control scheme in the image matches an Xbox gamepad. The glass control layout includes an analog stick and D-pad on the left of the phone along with the four game buttons and secondary analog stick on the right. However, that was only the default control layout for games streamed to mobiles. Mr. Apostol also discussed Cuphead, which is a custom control scheme that shows only the buttons players need. 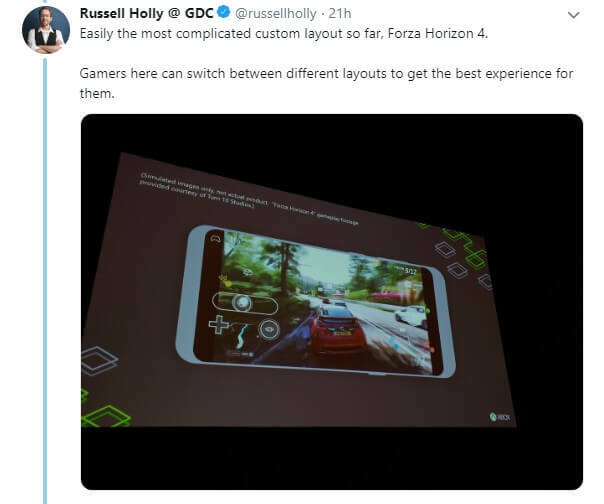 One of the slide images showed Forza Horizon 4 on a phone with alternative control layouts that players can switch between. Cuphead will enable developers to establish custom control schemes for games if required. Of course, players don’t necessary need to utilize the touchpad controls on their mobiles. Instead, players can connect an actual Xbox One gamepad to a phone via Bluetooth. Microsoft showed off Project xCloud on the Xbox Insider show with a phone connected to a gamepad. The Project xCloud presentation at GDC also provided some details pertaining to latency measurement tools. 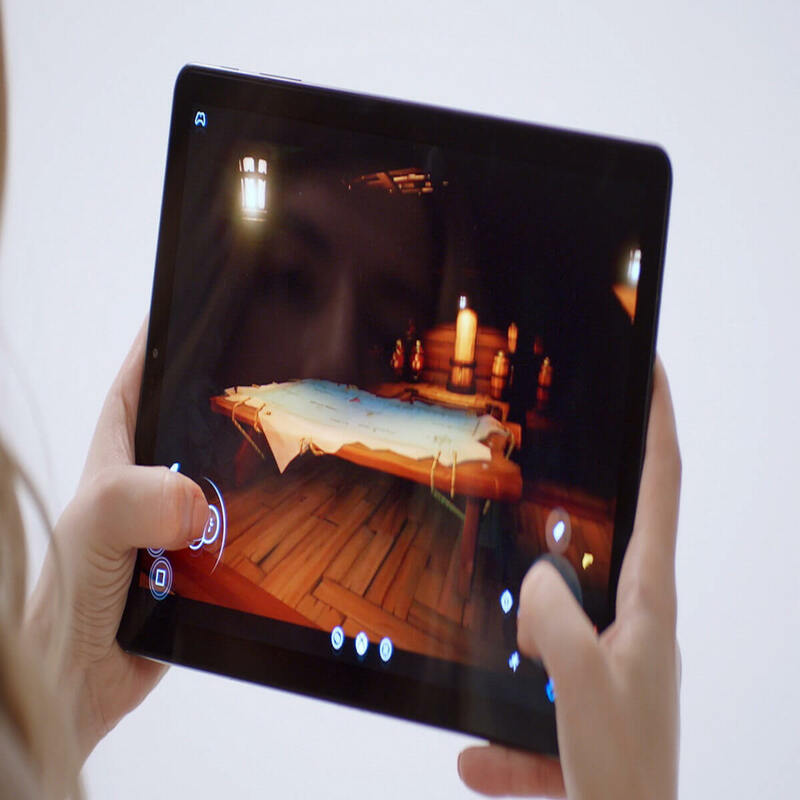 Those tools enable Project xCloud to optimize games for devices with substandard connectivity to reduce latency. That will hopefully ensure that games won’t be too laggy for players with more limited net connections. So, GDC’s Project xCloud presentation certainly provided some interesting insight on the streaming service’s control scheme for mobiles. However, Mr. Apostol did not provide any details for a potential xCloud launch date. Microsoft is currently trialing the streaming service, but the software giant might not intend to launch xCloud until 2020 when it releases new Xbox consoles. A late 2019 launch date might be the best players can hope for.